Darren posts occasional blog comments of issues of importance to policing and the BTPF in particular. For those of you that know Nobby and his previous life as an Irish Guardsman, you will know that those are big boots to fill. Anyway, eyes down for a full house! I must to start with the last weekend (18-19 August) where speculation right across the media in Scotland suggested that the Scottish Government was looking to call a halt to the proposed integration of BTP Scotland into Police Scotland. This would be a very welcome development for all our officers in Scotland and right across the BTP as we are rightly proud of our status as the specialist railway police service for the UK. It has always been the position of the Federation, and indeed the BTP, that the devolution of railway policing in Scotland could be achieved by means other than dismantling D division in its current guise. BTP officers in Scotland have lived with a great deal of uncertainty over their futures for more than two years now. This is not acceptable and the formal position of what is going to happen moving forward must be decided upon sooner rather than later. It is testament to the professionalism and commitment of D division officers that while they have lived with this level of uncertainty hanging over their heads they have consistently performed at a high level which has to be praised. Your Federation has spoken previously of a commissioned service model for rail policing in Scotland and we wholeheartedly agree with and understand the need for both the Scottish Government and the people of Scotland to have accountability and a real say in how rail policing in Scotland is undertaken. This can be achieved at minimal cost in comparison to the current situation with the proposed integration. More recently I have spoken with (NARBTPO) who inform me that contact has been made with the pensions regulator to look at the status of safeguarded and protected retired officers within the pension scheme. NARBTPO have promised to update us when they receive a response. The next meeting of the Joint Programme Board is scheduled for the 28th August 2018; we are awaiting confirmation of the venue. Previously it was to be held in Perth but the suggestion is that the meeting has been moved to Edinburgh. Perth was chosen as the venue previously to allow for a staff engagement event with staff and officers from the BTP. It was felt by the Federation that until there was new information and concrete updates around the proposed integration then officers and staff would be better served by waiting for a new date and time where all parties linked to the integration project could attend and provide up-to-date responses to questions. A robust discussion took place around a proposal from the Federation to allow officers who attend the in-force OPT training but who don't pass the JRFT at the beginning of the day to continue with OPT rather than being sent home or back to work and then placed on TDR duties until they pass the JRFT. It was felt by the Federation that the two are not intrinsically linked and that officers should not be precluded from undertaking their operational duties while awaiting another fitness test. History and both the Police Service of Northern Ireland and Police Scotland were cited by the Federation as examples where this test is not used or indeed as recently as 2013/2014 where officers undertook a rigorous warm up and then preformed OPT and then went onto operational roles. What has changed so drastically in the meantime? It is important to state that the Federation are not wholly against the fitness test but feel that officers should not be operationally penalised is they don't pass the JRFT. Furthermore, the Force would benefit by not having to place officers on TDR and therefore have a reduced operational capability for the period while officers achieve the required JRFT standard. The force dismissed the proposal by the Federation in its entirety although there was a suggestion that maybe in the future not all roles would be subject to yearly testing as clearly a minority of policing roles do not require it. This is mirrored in a number of Home Office forces where some roles are tested biannually, and others are every three years. Work is still being undertaken by the Force around the limited duties policy and the Federation will be appraised of the conclusion of this by senior HR staff. The force resource manager has proposed a policy around RDIL management. This was circulated recently and will be discussed at length by the Federation. It is important to state that there is no current time limit on the use of outstanding RDIL's; it has been suggested in some quarters that if officers do not use their RDIL's within 12 months they will lose them but that is not correct. While it is accepted that the Force needs to be able to manage officer abstractions and have knowledge of what time is owed to officers, the RDIL's worked previously by officers and banked cannot be written off after 12 months. Police Regulations actually state that if an officer's rest day is cancelled with more than 15 days' notice then they should be informed within 4 days of the cancellation when their new rest day is. This has not been the practice to date and the proposed policy will look at whether the force look to move to compliance with regulations or an alternative option. We will keep you updated. Once again, the Force policy on tattoos was raised by the Federation especially considering the extraordinary summer we have had this year. It is felt by the Federation that current SOP relating to tattoos - and more specifically the requirement for tattooed officers to wear long sleeve shirts - is outdated and no longer relevant. There is College of Policing guidance around making sure tattoos are not garish, offensive or linked to a particular belief or group. The bottom line is though that Chief Constables have the right to apply that guidance how they see fit. It is this part where we feel greater discretion could be given to supervisors on whether short sleeve shirts should be worn by officers with tattoos. The DCC has taken this matter away to review. The Force is currently reviewing the flexible working policy following the demand review and a submission by the Federation in respect of the most recent proposal where aspects of the policy were found to be unlawful. Our views have been taken into account and productive discussions have taken place with a view to having a new policy in place sooner rather than later. The importance of flexible working with a modern police service is widely accepted by the Force but we acknowledge the Force needs to be able to meets its operational commitments and so discussions are ongoing. Senior HR staff informed us that the final batch of historical overnight allowance claims would be paid by the 31 August. This has been a very long and drawn out process but one I hope is being brought to its rightful conclusion. Recently there has been media coverage about how the National Police Chiefs Council is looking to provide greater clarity around the regulations relating to this allowance. This would be welcomed by all Federations as it is completely unacceptable for officers to not be compensated correctly when they are abstracted for periods of time overnight, away from their families, when undertaking policing duties. An update was given by the Force in respect of officers eligible to make claims following this judgement about overtime and payment for additional duty performed under 2003 police regulations. The Force has accepted the judgement in its entirety and will compensate eligible officers. The Force has received ten applications; we would ask eligible officers to submit their claims as this is money they are rightly entitled to. 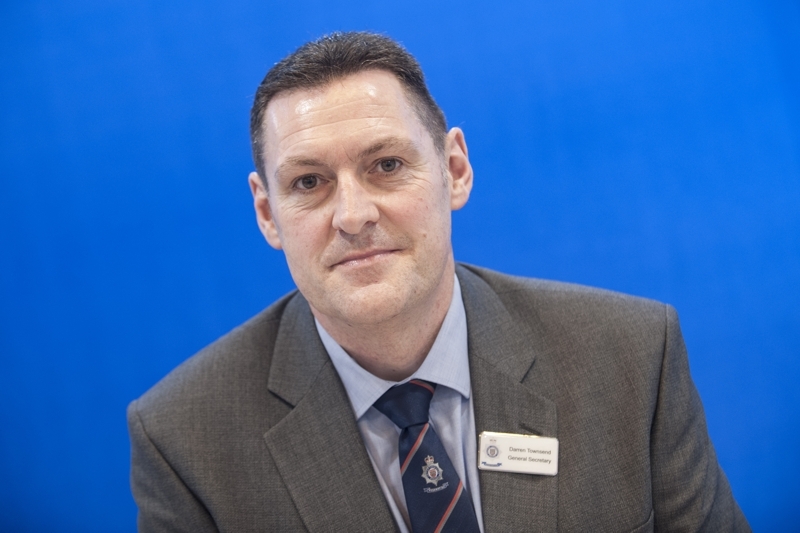 The recent JCC meeting with the Chief Constable, TSSA and Supt's Association focused very much on updates from the force around the 2021 programme, much of which has been circulated via the force intranet. Of note was the question around the pay award announcement for police officers following the recent submission of the Pay Review Body to the Home Office. The Chief Constable has taken the suggestion of 2% to the BTP Authority with a view to reaching a settlement decision sooner rather than later. He fully endorses the proposal of 2% and we await the decision of the Authority. We will chase this matter and trying to bring it to an early conclusion as in previous years it has tended to drag on to the back end of the year. With that discussion in mind this Federation will make a submission to the United Kingdom Pay Remuneration Forum (UKPRF) setting how that we find it wholly unacceptable that the Home Office imposes its own take on pay awards and does not recognise the findings of the body set up by the Government to review police officer pay. The need to remain vigilant has once again come to the fore with the recent terrorist attack outside Westminster. Although there were no fatalities, several innocent by-standers were injured. Demands on our members and resources will be high with the impending Bank Holiday and continued high temperatures. I would ask that you look out for each other and stay safe. "It is not usual in this country to place an image of someone living on a building like this, or in any public space, but for Wayne we have made an exception. His heroic bravery, his selflessness represents so much of those qualities seen that night amongst those who died and those who survived. Wayne's example will be seen by generations of people who will visit this Cathedral." We know Wayne has been deeply touched by this gesture and we can all be rightly proud. Thank you for taking the time to read this blog. The purpose of this monthly post is to keep you updated on the matters we are addressing on your behalf. If you have any questions or concerns please do not hesitate to contact your local representatives. Quote of the month: "The future belongs to those who believe in the beauty of their dreams."